The YETI Hopper 20 cooler and Rambler series drinkware are essential to quenching your thirst during the dog days of summer. The Hopper 20 transports your beverages and keeps them icy cold while you’re out exploring, and the drinkware keeps your beverages cold (or hot) long after the adventure is over. DryHide Shell. The Hopper’s high density water proof fabric is resistant to mildew, puncture and harmful UV rays. ColdCell Insulation. Closed-cell foam insulation on the sides and 1.5 inches on the bottom offers superior cold holding. HydroLok Zipper. Provides a waterproof, airtight closure. Tie-Down Points. Six D R-ring tie-down points provide multiple options to secure the Hopper to an ATV, kayak, etc. Double-Stitched Carry Options. Three carrying options include primary handles, end handles, and a shoulder strap- all designed to make carrying loads more comfortable. Anti-Microbial Liner prohibits growth of odor-causing bacteria. I was first introduced to YETI Coolers during a white water rafting trip in Vernal, Utah, a few years ago. 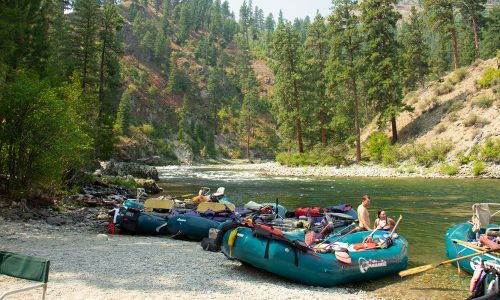 Our river guides used Tundra coolers to pack our lunch feast, and I was impressed with the durability of those coolers, how it handled on the rapids, and how cold our beverages and food were despite being exposed to the intense Utah heat. Would the Hopper perform the same way? We took the Hopper on an extended weekend car camping trip and also on a day trip to a mountain bike park. Each time, the Hopper withstood heat and kept our drinks ice cold not only for hours, but days. Not having to waste time making a replacement ice run to the nearest town was definitely a bonus, allowing for more time spent on the singletrack! The Hopper series comes in three sizes: the 20, 30, and 40. Initially, it was frustrating to pack and unpack contents due to its stiffness. Consequently, buyers should be forewarned that it will take some time to break the cooler in. But this improves over time, lessening the annoyance greatly. The Hopper 20 comes in two colors (Fog Gray/Tahoe Blue and Field Tan/Blaze Orange) and can hold up to 18 cans of beer and 20 pounds of ice. For more information about the Hopper, visit here. 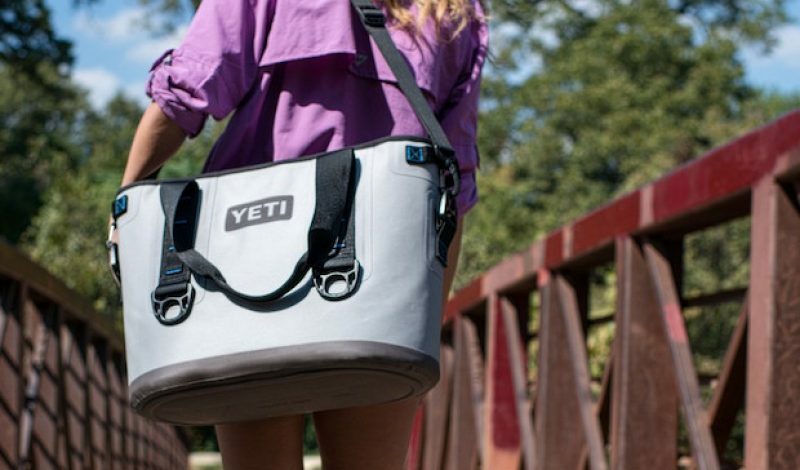 Touted as “Personal Drink Coolers”, the YETI Ramblers drinkware line are as tough as the coolers. Made from kitchen-grade 18/8 stainless steel, the Ramblers feature double-wall vacuum insulation and a No Sweat design that maintains ice twice as long as plastic tumblers. I tested the 18 oz. Rambler Bottle ($39.99) and the 20 oz. Rambler Tumbler ($29.99) with both hot and cold beverages. The Tumbler kept my drink cold for well over ten hours (longer than a work day! ), whereas I found the Bottle perfect for sipping hot tea during a chilly night camping. Another convenience is that the Rambler drinkware fits cup holders, so that beverages can be enjoyed on the go. For additional information about available Rambler sizes and prices, visit here. And for more Gear Institute camping gear, click here.